– that the five freedoms be considered to be part of the Prevention of Cruelty to Animals Act and that they be safeguarded by the states. – that no animal may be incited to fight against a human being or another animal. – that the AWBI (Animal Welfare Board of India) and Governments should undertake education related to humane treatment of animals. – that the Act that was passed by Tamil Nadu to allow jallikattu to continue is in opposition to the PCA Act, and is therefore null and void. This means that jallikattu and bullock cart races are definitively banned. So ends the cruelty of jallikattu and bullock cart racing. Blue Cross of India has been opposing the inhumane “sport” of jallikattu for the past forty years. The Supreme Court ruling lays out clearly the major points supporting the rights of animals: the five freedoms, the obligation of Indian citizens to treat animals with kindness, and importantly, that animals have their own innate nature, honor, and dignity – quite independent of any value they may have to humans. This is a step far ahead of the perception of animals as property which still forms the foundation of animal law in a number of countries, including the U.S.
Justice Radhakrishnan has now retired, this being his last case. His career on the bench was marked by great fairness and significant decisions that re-affirmed the rights of all human beings, and also of animals. The Supreme Court jallikattu ruling carries with it a ripple effect that has already begun to bring about changes to the standing of animals in the law. On August 8, 2014, AWBI met in Chennai and worked on fine-tuning the new Animal Welfare Bill to bring it into line with the Supreme Court ruling. The Joint Secretary of the Ministry of Environment and Forests was present at the meeting. AWBI falls under the Ministry of Environment and Forests. This was the 41st general meeting, and all the members of the AWBI were there. 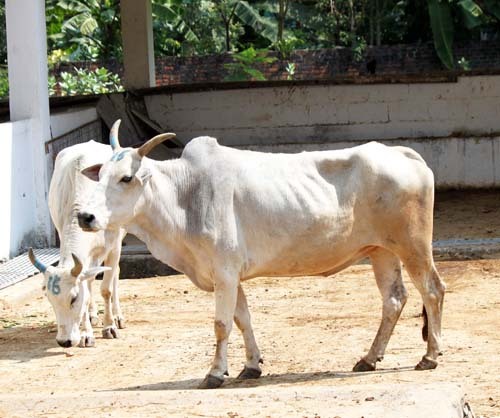 The new bill will mandate the setting up of a National Animal Welfare Authority which will take on the functions of the AWBI and will be accorded much more authority for enforcement. 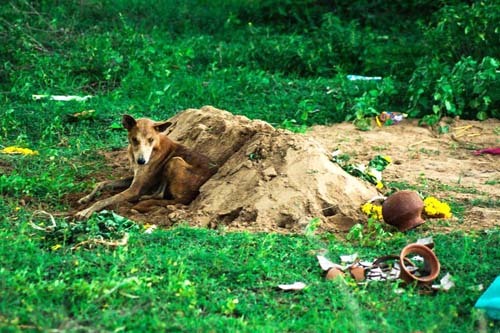 Enforcement has been a weak link in India’s animal protection system. This new bill will have to be passed by both houses of parliament, and if it’s passed by only one, will have to go back to the first house again to be reconsidered. It’s a prolonged process. One of the key measures in the new bill will be that animal law will extend not just to prevention of cruelty, but it will be spelled out that the five freedoms of the animal must be guaranteed. Animal laws in India are already among the most enlightened in the world. The Prevention of Cruelty to Animals Act was passed, in 1960, thanks largely to the work of Rukmini Devi Arundale, well known as a dancer and choreographer of Indian classical dance, as well as an animal advocate. The PCA Act set up the first Animal Welfare Board of India, and she became its first Chairperson. The Committee for the Purpose of Control and Supervision of Experiments on Animals (CPCSEA) was set up at the request of the AWBI and has brought about reforms to ameliorate the situation of laboratory animals. The Wildlife Protection Act of 1972 banned hunting throughout India and gave protective status to all wildlife. 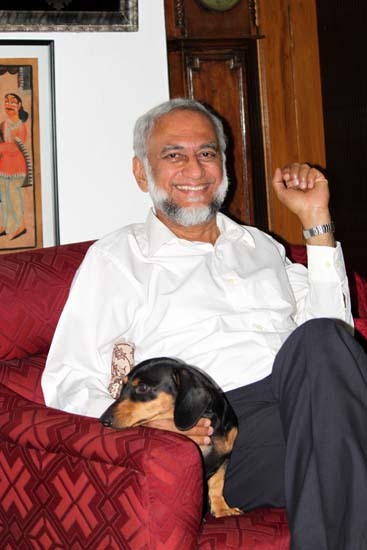 Dr. S. Chinny Krishna has served on the Animal Welfare Board of India for several terms, and has been the Board’s Vice-Chairman from 2000 to 2003 and again since 2010. Along with many others, like Parliamentarian Maneka Gandhi, who have resolutely pursued the cause of animal welfare in India for many decades, Dr. Krishna has played a central role in creating the framework of Indian Animal Protection Laws, which set an example for the world in terms of their far-reaching scope and their recognition that animals have rights and intrinsic value. To visit the Facebook page of the Animal Welfare Board of India, click here. 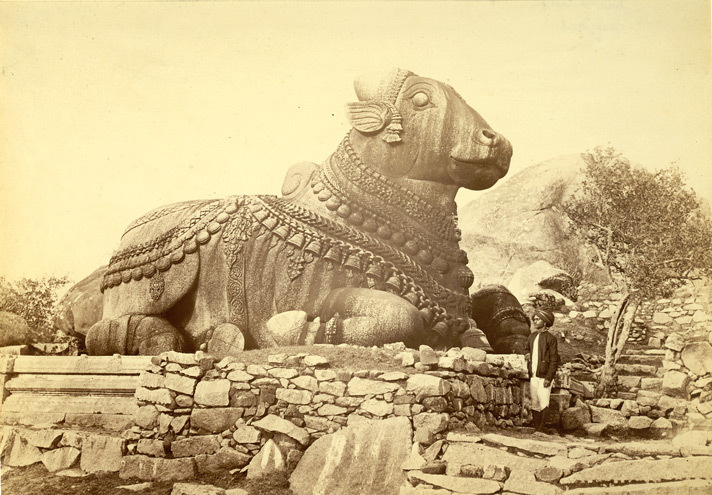 Second photo: A painting of Nandi, the vahana of Shiva, in south India. 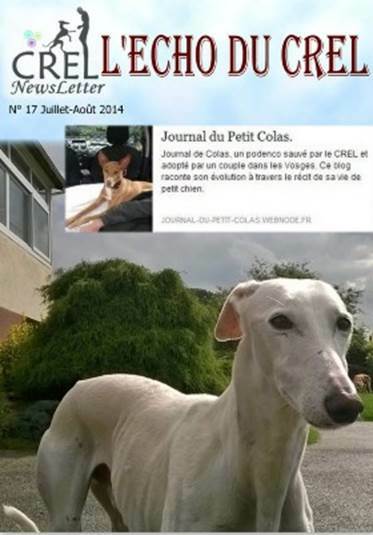 CREL is an organization in France that for the past six years has rescued Spanish galgos, or greyhounds, and related dogs, who have been abused and abandoned by Spanish hunters. They work with shelters in Spain to transport the dogs and find them loving families in France. To read their newsletter (in French), click here. The recent Supreme Court of India ruling banning the cruel “sports” of bull fighting (jallikattu) and bull racing is one of the most remarkable documents ever issued, by any country, in setting out a fundamental legal basis in support of animal welfare. In its 103 page judgment, the Court considers both the arguments of the State of Tamil Nadu, presenting the case for continuing to hold jallikattu events – and also the case for banning jallikattu on the grounds of cruelty, brought by the Animal Welfare Board of India (AWBI). This is the view against speciesism that is subscribed to by most of today’s animal rights advocates, and it was written down in India over 3,500 years ago. There follows, in the court document, a discussion of international views of animals and animal law. Justice Radhakrisnan points out that , in general, the United Nations “has safeguarded the rights of human beings,” but not those of animals. (v) freedom to express normal patterns of behavior. Justice Radhakrishnan explains that when Article 19 (1) (f) was deleted from the Indian Constitution, this meant that the right to property, while still recognized as a right, is no longer a fundamental right. Animals are universally recognized as property; however, this “is now only a legal right, not a fundamental right.” This distinction means that animals do have intrinsic rights, and human property rights do not take precedence over the fundamental rights of animals. This allows Parliament to pass animal protection laws. Article 51A (g) of the Indian Constitution states that it is a fundamental duty of every citizen “to have compassion for living creatures,” which means having concern for their suffering, and extending sympathy and kindliness towards them. 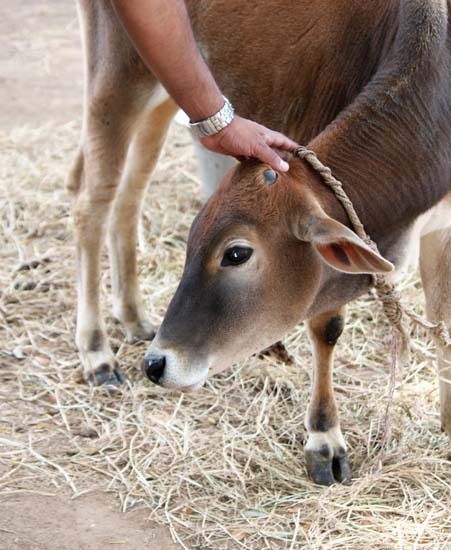 India’s was the first Constitution in the world to require of citizens that they be kind to animals. Justice Radhakrishnan then states that jallikattu and bullock cart racing “inherently involve pain and suffering.” This is because it is not part of the nature of bulls to enjoy running. They are not like horses, and they do not run unless they are forced to try to flee by being mistreated. For them, running is a flight response. There is presented in detail the cruel and inhumane treatment of the bulls, in numerous incidents that were witnessed and documented by PETA India and the AWBI, at jallikattu events. 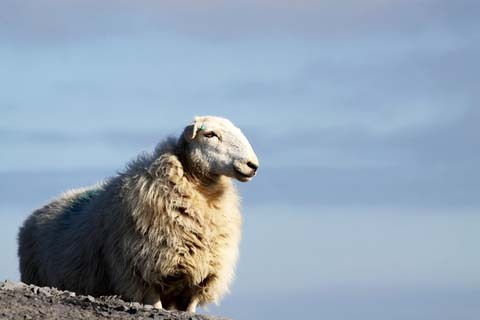 Second photo: © Christian Bridgwater / Dreamstime.com / A sheep on a mountain. 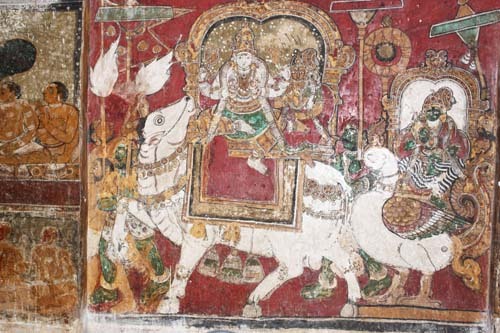 Third photo: Sharon St Joan / Painting of Nandi, the vahana of Shiva, south India. 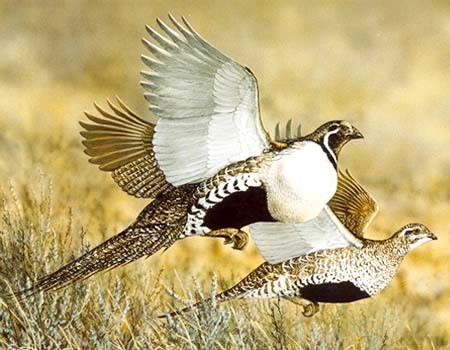 ACTION ALERT – help us save the Henefer Sage-grouse lek! Dear animal lovers, we always hear stories about dogs sitting at their master’s graves or pining away for their lost human companion; tales that, because we know the wonderful nature of dogs, we have no trouble believing. However, the narration of such a story always brings tears to one’s eyes and a lump to one’s throat, and is always worth sharing. Dawn Williams, our General Manager, is always rushing around the city on rescues. He is, in fact, our unofficial extra rescue driver and paramedic rolled into one at all times, attending to as many emergencies as possible once all our other ambulances have started their daily rounds. Consequently, he rarely gets time to stop and look around, but, being a former commando in the Indian Army, he’s extremely sharp and observant. Sometime during the 1st week of August, while on a rescue mission in Avadi along with our volunteer Mukund from Caterpillar, they were going through a police check post where traffic is necessarily slow. As they passed an open graveyard, they noticed a dog sitting on a fresh grave. Considering that neither the presence of a graveyard nor the fact that dogs sit around them is momentous, they passed through. On the 13th of August, when on another rescue mission along with Capt. Avinandan Mithra of the Indian Coastguard and, coincidentally, Mukund again, they were driving past that check post when, lo and behold, the same dog was on the same grave. They took a picture from a distance and hurried on, as they were attending to a cow in distress. After the rescue, they drove back to the graveyard and tried to coax the dog away with biscuits and water, but he would just whimper and put his head down, refusing to budge. There was a liquor shop near the graveyard so the three gentlemen went over to ask about the dog. From the owner of the liquor shop and the adjacent cigarette shop, they learned that the dog had been the constant companion of an 18-year old boy from the same locality who had been hit by a speeding motorcycle and died, on the 2nd of August. Dawn went over to the house everyone said was the deceased boy’s and located the youth’s mother. The mother informed our team that she had assumed that Tommy, the dog, had run away when her son died. The mother of the young man accompanied Dawn back to the grave. When he saw her, Tommy got up and went slowly to her. It was obvious that he hadn’t eaten much (if anything at all) in days. Tommy rested his head on her feet and cried some more, as the mother bent down and, lifting his head up, kissed him, before burying her face against his neck and crying. Dawn told me that he and the team were sobbing like little girls as they watched the two bereaved souls comfort and find solace in each other. The mother picked up Tommy and carried him back to her house, telling our team, as she left, that she had wrongfully thought, because her only child had died, that she had nothing to live for. With the words that she still had one son in Tommy, she thanked our team and the two went back home. This is only the tip of the iceberg, as far as the loyalty and love an Indian dog can provide is concerned. Visit our shelter and adopt a dog in need. Remember, they will never forget that you saved their lives, and they will never stop looking for a way to pay you back. 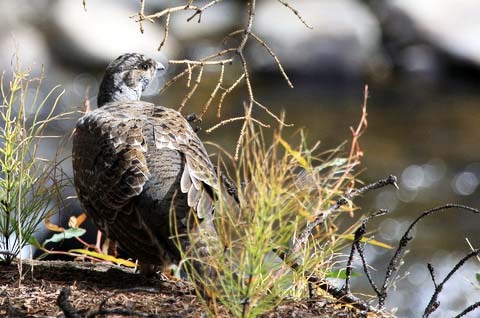 Can the Utah state plan for Sage Grouse management succeed? Estonia’s population of wolves and lynxes is one of the strongest in the world. We have 3-5 times more bears per km2 than our neighbouring countries. About 10 per cent of the whole Common Crane population in Europe visit Estonia every autumn. Compared with Poland, four times as many Ural Owls and six times as many White-backed Woodpeckers breed in Estonia. More White-backed Woodpeckers may nest in one national park in Estonia than in the whole of Sweden!